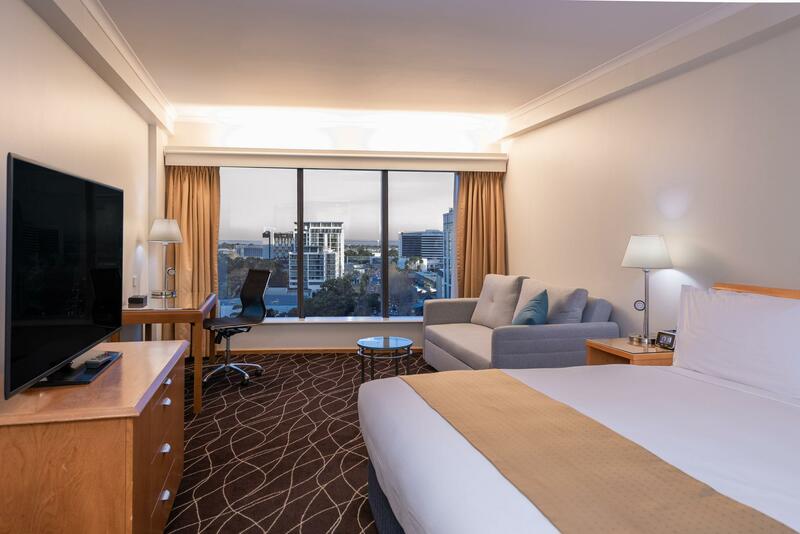 يقع Holiday Inn Sydney Airport على بعد 5 دقائق بالسيارة من مطار سيدني، ويتميز بخدمة نقل المطار ووسائل الراحة العصرية، وتحتوي جميع الغرف على تلفزيون مع قنوات الكابل وتكييف هواء. 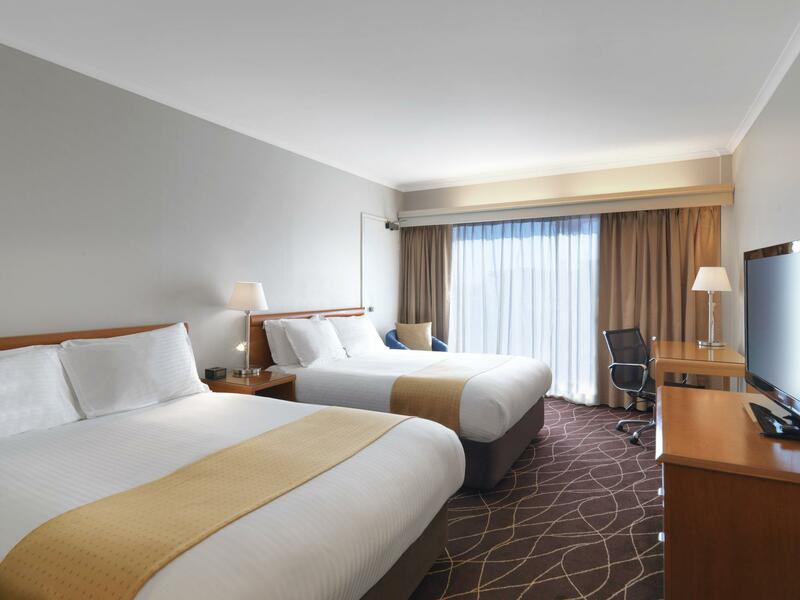 يقع Holiday Inn Sydney Airport على بعد 5 دقائق فقط سيراً على الأقدام من محطة قطار ماسكوت وعلى بعد 15 دقيقة بالسيارة من وسط مدينة سيدني ودار أوبرا سيدني الشهيرة. توفر جميع الغرف المشرقة ومتجددة الهواء تلفزيون عالي الجودة بشاشة مسطحة ومرافق لصنع الشاي / القهوة والاختيار من الوسائد المشدودة والناعمة، وتشمل الحمامات الخاصة على مجففات شعر ولوازم استحمام للضيوف. يمكن لضيوف الفندق الاسترخاء في غرفة الساونا أو ممارسة التمارين في مركز اللياقة البدنية الخاص بالفندق، كما تتوفر خرائط مصممة خصيصاً للركض في المنطقة. يمكن الاستمتاع بتناول وجبة في مطعم Sirocco المميز حيث يقدم قائمة عالمية متنوعة، أو الاسترخاء أثناء تناول وجبة خفيفة واحتساء المشروبات في بار Biggles الترحيبي. 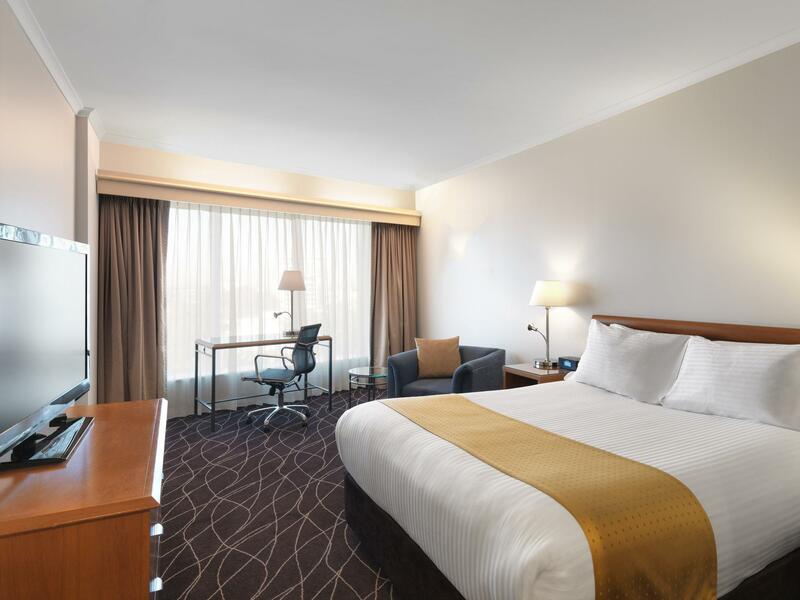 يضم Sydney Airport Holiday Inn مكتب استقبال يعمل على مدار الساعة مع معلومات رحلات الطيران للوصول والمغادرة ويوفر مركز أعمال ومكتب للجولات السياحية. يرجى ملاحظة أنه قد تطبَّق سياسات مختلفة ورسوم إضافية على النزلاء الإضافيين وذلك على الأسعار التي تشمل وجبة الإفطار. يرجى الملاحظة بأنه يتم تطبيق رسوم إضافية بنسبة 1.5 % عند الدفع بواسطة بطاقة الائتمان. The hotel is close tot he airport but you will still need the shuttle. But be advised the shuttle is run by a third party. There are no signs for it, the shuttle doesn't have Holiday Inn written on it and I had to ring the hotel to find out this information which was a bit annoying. Best to do this before you leave so you have some idea where to go. Spent a quick night here between flights with my husband and toddler. Check in has a little kid friendly area and they even gave my son a present. Room was clean and comfortable. Pro: Great buffet breakfast. Toddler friendly utensils provided. Cons: No assistance offered with getting our large load of luggage to and from the room. I have make a mistake on the booking name, they are helpful to change for me on the check in name and the bed. I am so grateful. My mum and auntie stay very happy. Was very happy to be upgraded to a bigger room after letting reception know our A/C was making loud noise. Room super comfy and perfect for me and 2 teen kids. Bar/restaurant has nice atmosphere and reasonably priced. Food was good. Second stay for us and once again enjoyed. I used this hotel because we had a very early morning departure the following day. I don't know why you would stay at this hotel other then for this reason or for business. 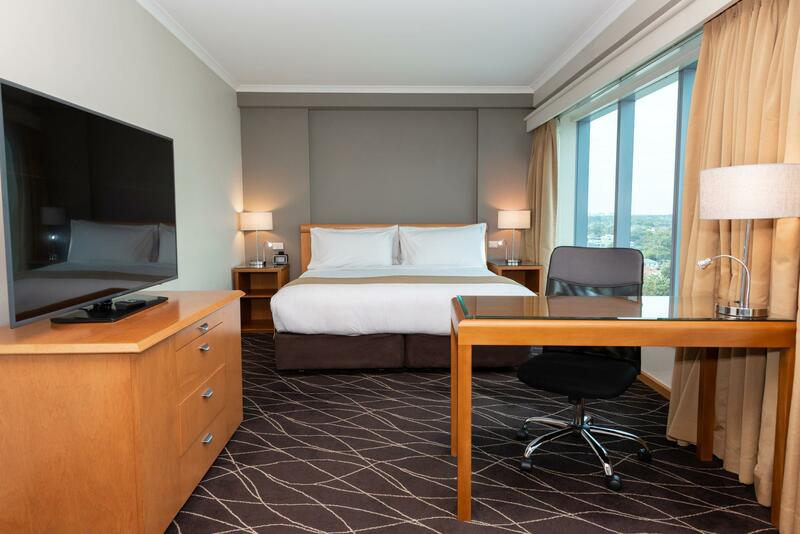 For tourism with several days in Sydney, I would not stay here although as a hotel, its fine. Seemed weird for a 4 star hotel that they did not provide any porters for your luggage but it was not that big of a deal. Had to pay A$6 per person for the airport shuttle which seemed also a little weird for a 4 star hotel that is advertising itself as a hotel airport. Had two restaurants, one was a bar/burger/fish and chip place, the other a little more upscale. The bar place was good. very good as usual. The only down fall was the dinning room not very good service and the steak was tough and cold. Service and food in Biggles bar was far superior and much more affordable. In fact we waited to come back to the Hotel to eat each night love the tai salad staff were always nice remembering what you had had to drink the previous night. The hotel is in 5 minutes walking distance to the next subway station. This brings you into the city centre in just 20 minutes. The airport is close and shuttle service is offered. The staff was friendly and supportive and the rooms clean and big. Staying at the Holiday Inn was convenient as it was close to the airport as we had a early morning flight, there was a mix up with the key and we also had go back to reception for both the rooms as they did not activate the keys when they gave them to us the first time, annoying, as we were late check in and tired. The food ordered to the room was just average, but in the bar the light meals were good. 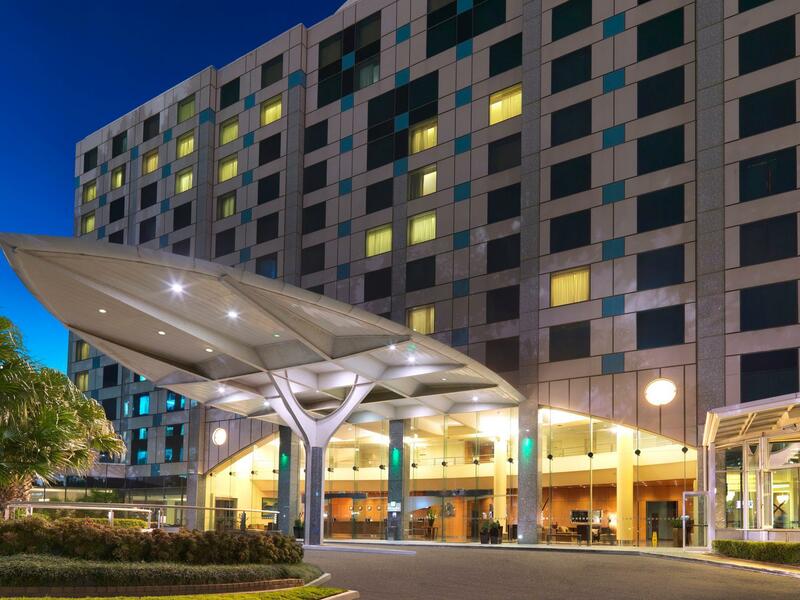 Convenient location, near airport and train station. Ok accommodation but I thought it was overpriced. The furniture in room was a little knocked about.